Website design and development is a critical step in any online marketing endeavor. Your website is now the first place any potential or recurring customer will visit in order to learn more about your products and services, to contact you, or to generally begin to understand who you are and what you do. 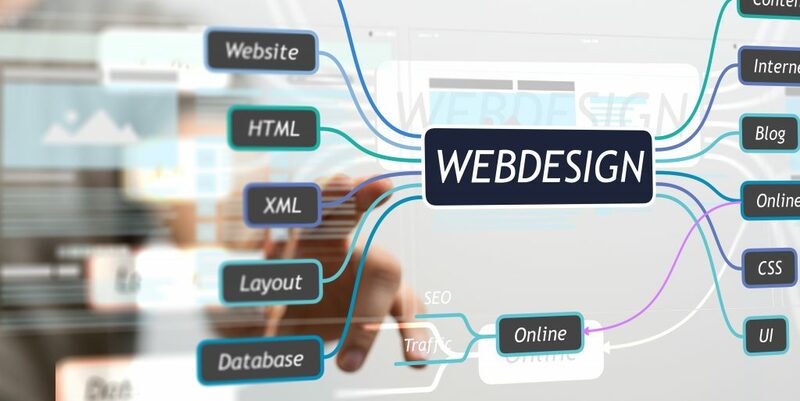 An ineffective website design and development system can cause catastrophic results for new websites or websites that have implemented remodeling which is why web design is often best left to the professionals. Many people believe they have the skills and qualifications to create new websites, and with many competitive DIY website tutorials, this may be true to an extent. Since website development and design is a professional and essential vehicle for your company, you may want to think think twice about it. Web development is a broad term for the work involved in developing a website for the Internet (World Wide Web) or an intranet (a private network). This can include web design, web content development, client liaison, client-side/server-side scripting, web server and network security configuration, and e-commerce development. However, among web professionals, “web development” usually refers to the main non-design aspects of building websites: writing markup and coding. Web development can range from developing the simplest static single page of plain text to the most complex web-based internet applications, electronic businesses, or social network services. For larger organizations and businesses, web development teams can consist of hundreds of web developers. Smaller organizations may only require a single permanent or contracting webmaster, with a possible secondary position such as a graphic designer and/or information systems technician. With our web designers’ combined experience in graphic design, website development, and e-commerce programming, you can be confident that whatever your project demands, our web developers can deliver on time and on budget. IMG has designed and been instrumental in the creation of many websites over the years, and with each design project we strive to go beyond the expectations of our clients. The sites we design are unique to the website owner in custom graphics, banners and logos and quick loading, all at prices well below the industry standard, prices that everyone can afford! We also keep all clients informed of the status of their design project with mock layouts and test pages that are easily accessed online by password so you will know exactly what your site looks like before it ever goes live. Why Should You Consider Isaacs Marketing Group? Every web design project is created from scratch using visual appeal, cross-browser compatibility, and search engine friendliness. We never use PREFAB design templates unless the customer requests this specifically. When your web design project is completed, we submit your site to the top free search engines/directories and other lesser-known search engines/directories worldwide. Submission is included with our design services, free of charge. If you require further information on website design and development or would like to know more about how to engage your customers, please contact Issacs Marketing Group for more information.